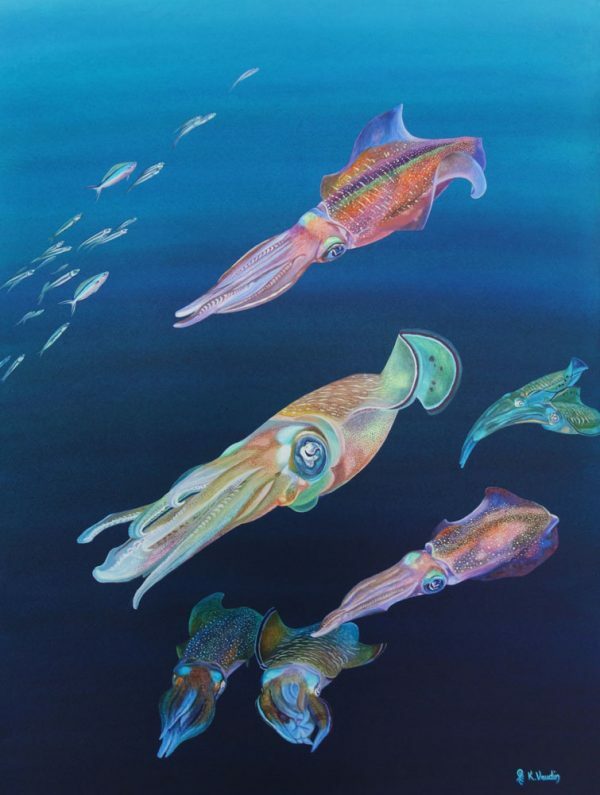 Our original painting of squid is based on some great underwater photos we managed to take whilst diving in Raja Ampat, Indonesia. We were lucky enough to encounter several squid close to the reef who were mating. They were laying their eggs into a hole on the reef. As they were so preoccupied we managed to get in really close even though it was daylight and with divers around them. It was such a pleasure to paint these wonderful creatures.